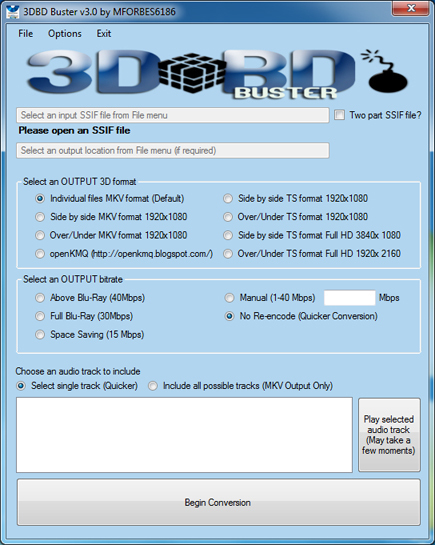 3DBDBuster converts 3D Blu-ray titles to MKV/TS. It takes SSIF files as input and allows you to convert to MKV/TS, with support for many types of 3D formats, including side-by-side, over/under, and at various resolutions/bitrate. It also supports output to the openKMQ format. Split SSIF files are also supported.